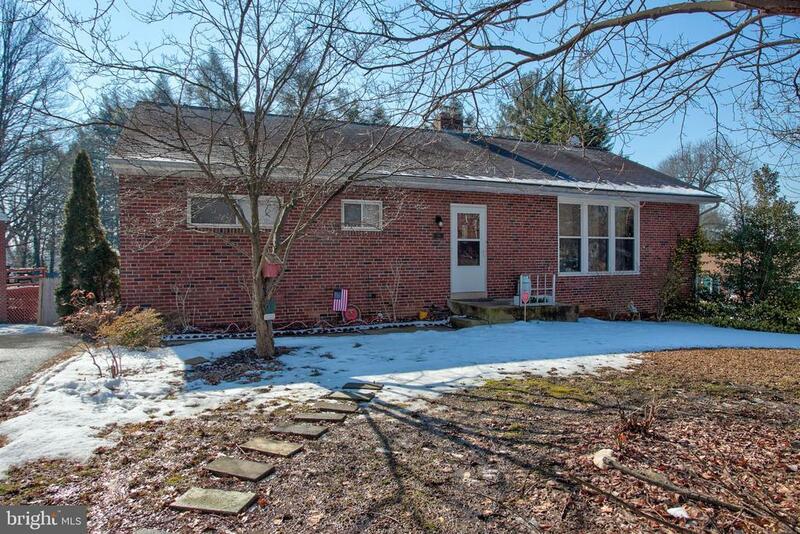 Solid Brick 1-story ranch home in desirable Penn Manor School District. Eat-in country kitchen with island, pantry, corian sink and double oven. Formal dining room, 28 Ft living room with woodburning brick fireplace. Hardwood floors under carpet, newly updated bathroom, some new windows. Finished lower level rec room with pool table and ping pong table included. This rancher is large than most in the neighborhood. 1723 total SF. Directions: 999 West towards Millersville. Left on Pilgrim Dr. Bear left at Y. Home on Right.